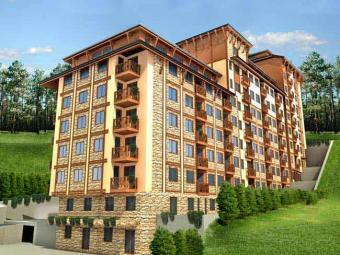 most popular and the largest ski resort in Bulgaria. It is situated 250 km southeast of the capital of Bulgaria Sofia, 80 km. days exceeds 150 and the snow cover often reaches two meters height. The ski slopes are of various length and difficulty. km, constructed especially for the ski-running and biathlon fans. There is also a shooting-ground in the Yazovira area. schools at you disposal at the Studenec hotel. project is to start this summer and next year the tourists will see the results. additional 29.8 kilometres of ski runs and facilities are to be constructed and the number of beds is to increase by 8000.
plan for Sport- tourism . and the site infrastructure is fully constructed.